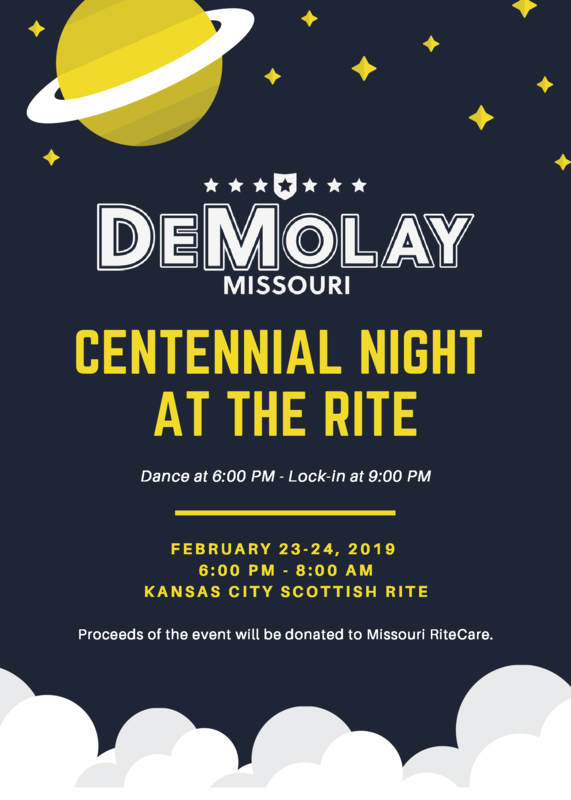 Join Missouri DeMolay as we host the Centennial Night at the Rite at the historic Kansas City Scottish Rite on Saturday, February 23rd, 2019. Preconceived notions of all DeMolay Lock-Ins will be obliterated. Join the greatest fraternity in the world to celebrate its 100th year of making good men better. Proceeds from the event will be shared with Missouri RiteCare to assist preschool age children with speech and language disorders.